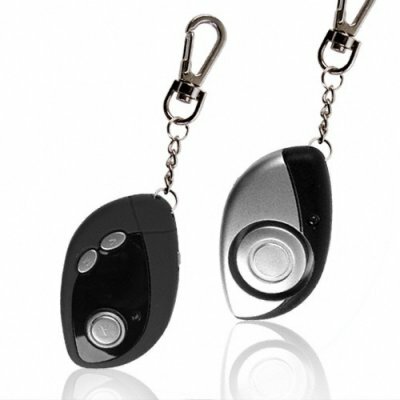 Successfully Added Wholesale Anti Theft Alarm - Wireless Guard to your Shopping Cart. Wholesale Anti Theft Alarm - Wireless Guard. Anti-theft and anti-loss wireless alarm for traveler's luggage and for people walking around in busy streets. This wireless set comes with both a transmitter that you can attach to your luggage or purse as well as a wireless receiver. If the wireless receiver and transmitter get more than 5 meters away, the receiver will automatically being to beep to draw your attention, and all you have to do is push the alarm button and the transmitter will emit a loud alarm to tell you where it is or who has it. This set also features a useful anti pick pocket function, sending off a loud alarm if someone is unzipping your bag, as well as a vibration function letting you know if someone is tampering with your belongings. A great low priced, multi-functioning travelers accessory direct from Chinavasion with no M.O.Q. (no minimum order quantity) for single piece or even better priced bulk orders. Get yours today!